The Big Pedal is the UK’s largest inter-school cycling, walking and scooting challenge that inspires children, staff and parents to choose ‘human power’ for their journey to school. The event takes place from 25th March to 5th April this year and is organised by Sustrans; a leading UK charity enabling people to travel by foot, bike or public transport for more of the journeys we make every day. New research shows that four in ten children are breathing toxic air at school, leaving pupils at an increased risk of developing lifelong conditions including asthma. Walking and cycling can play a key role in improving air quality outside the school gates while helping to boost children’s activity levels. The Big Pedal encourages children and adults to plump for pedal power wherever possible until 5th April, and beyond. 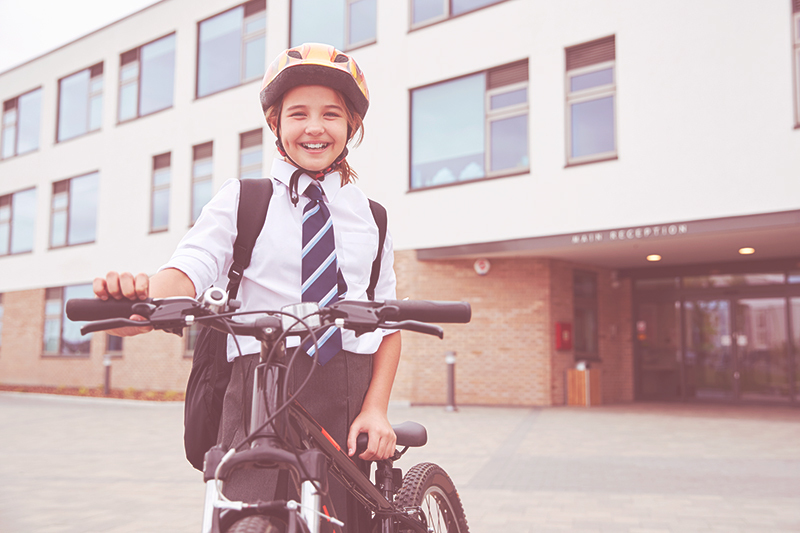 This year’s Big Pedal challenge aims to build on the success of 2018 which saw over 1,300 schools register to take part, with teachers, parents, siblings and pupils making more than a million journeys to school by bike or scooter. In addition, participants travelled almost 2.4 million miles – that is nearly 96 trips around the world – and saved 1179.2 kilograms of nitrogen oxide (NOx) from being emitted into the atmosphere. With 60,538 gallons of fuel not being used on the school run, parents also saved over £330,000 on fuel. Cotswold Outdoor stocks a cycling range for children and adults. Head to the branch at Peterborough One Retail Park to browse and buy a wide selection of cycling equipment, clothing and accessories to ensure you’re safe and stylish while on your bike during The Big Pedal! For more details about The Big Pedal.